Nanami has two grandmothers: Baachan, who lives with her family in Japan, and Gram, who lives in Maine. 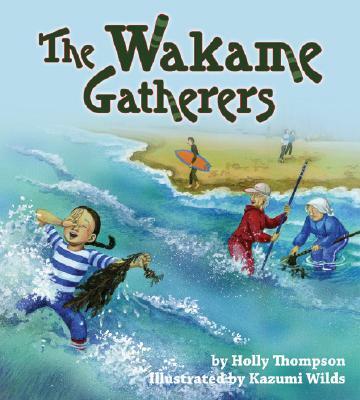 When Gram comes to visit Japan for the first time, Baachan takes them on a trip to the seashore to gather Wakame, a long, curvy seaweed that floats near the shore. While the three gather their equipment and ride the streetcar toward the beach, Baachan explains about Wakame and other seaweeds. Gram remembers how some seaweeds are used in Maine, and Nanami translates for them both. By the end of the day, Nanamis two grandmothers discover that they have much in common despite being from countries that were on opposing sides in the war they both remember vividly. Now, looking out across the beach at the surfers, dog-walkers, and seaweed gatherers, they share an understanding of this precious peace.